Desire 526G+ is one of best Entry level alluring phone from Taiwanese Handset Company HTC, The phone priced at 10400 ($170) launched in Indian Market. Display of device is 4.7 inches with dazzling visual experience. In 1.7 GHz Octa-Core Processor, you will get to experience advanced multitasking and it can run multiple applications at the same time without any hassles. The Body is made up of oval shaped Glossy plastic. We expected Gorilla glass protection for display but it’s not provided in phone. Phone is available in two colours black and white. Battery capacity is 2000 mAh not so impressive but can run for about 20 hours in moderate use. Phone is slim and handy feels good in hands. 12 GB memory available for apps. OTG Cable is not supported in the device. No LED indicator and no Gorilla Glass for Screen protection. No video calling through network; only through skype or other video calling apps. 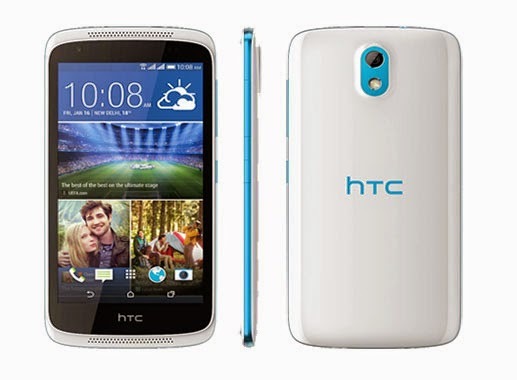 This phone is great deal if you are big HTC fan, phone has stunning look. Everything is fine according to configuration but the build quality of back cover is not so tightly gripped in its place in some of handsets.